$99 applies to one Residential Forced Air Furnace only. No Hot Water or Steam Boiler Systems. Must be scheduled during Normal Business Hours, M-F, 8-4:30. This is a LIMITED TIME OFFER. Call TODAY for details! In 1917 Olson Plumbing & Heating opened as a one man shop. Building our reputation for over 100 years. Since 1917 community involvement has been one of the core values shared by everyone at Olson Plumbing & Heating Co. Our commitment to embracing our responsibility to the community is a big part of what defines our success as a team. 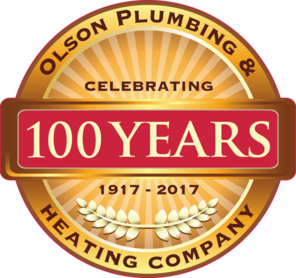 Almost 100 years ago Olson Plumbing & Heating Co. opened as a one man plumbing shop. 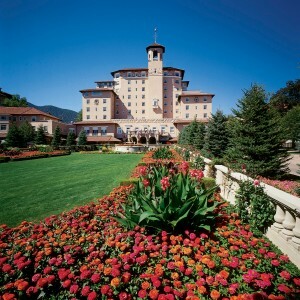 Since that time Olson Plumbing & Heating Co. has worked on some of the most distinct landmarks in the Pikes Peak Region. Today, we are still family owned and guided by the same simple rules – do excellent work at a fair price, provide prompt service day or night, and stand behind every job. Along with the latest plumbing, heating, air conditioning (HVAC) and utility technologies, Olson Plumbing & Heating Co. was one of the first contractors to establish High Purity and Medical Gas Divisions, expanding our expertise into the semi-conductor, biotechnology, pharmaceutical, medical and dairy industries. Our professional technicians are licensed, bonded and insured. We are on-call for Emergency Dispatch 24 hours a day / 7 days a week… 365 days a year…. holidays included. You can always trust Olson Plumbing and Heating Co. for anything related to plumbing, heating, air conditioning, sewer, gas and/or water main repair in Colorado Springs and the surrounding areas. Contact us today at (719) 635-3563 for emergency repairs, to schedule normal repair work or to discuss remodeling or new construction plans with one of our experts. We are ready to serve your needs! Voted into the top three, three years in a row.